BILOXI, MISSISSIPPI (WLOX) - The Gulfport-Biloxi International Airport is inviting private pilots to Fly into Fall. 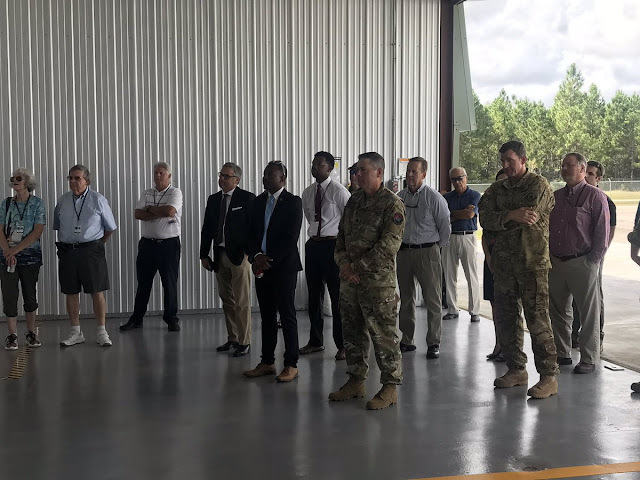 Officials cut the ribbon on new 8-bay T-hangars in the general aviation area of the airport Tuesday. The $790 thousand project was made possible through a partnership between the airport and the Mississippi Department of Transportation. The doors lifted to show off a space decorated in a festive autumn theme. Attendees listened to short speeches by airport representatives, then signed a golden plaque to seal the moment as a big step forward. The hangars will be available for private pilots to lease and store their single or multi-engine aircraft. T-hangar bays are designed to nest into one another and conserve space, as opposed to traditional rectangular hangars. Each hangar varies in size between 1,120 to 1,560 square feet. Features include electric bi-fold doors, epoxy concrete floors and interior overhead lighting. The Federal Aviation Administration now permits the bays to be used for construction of amateur or kit airplanes. 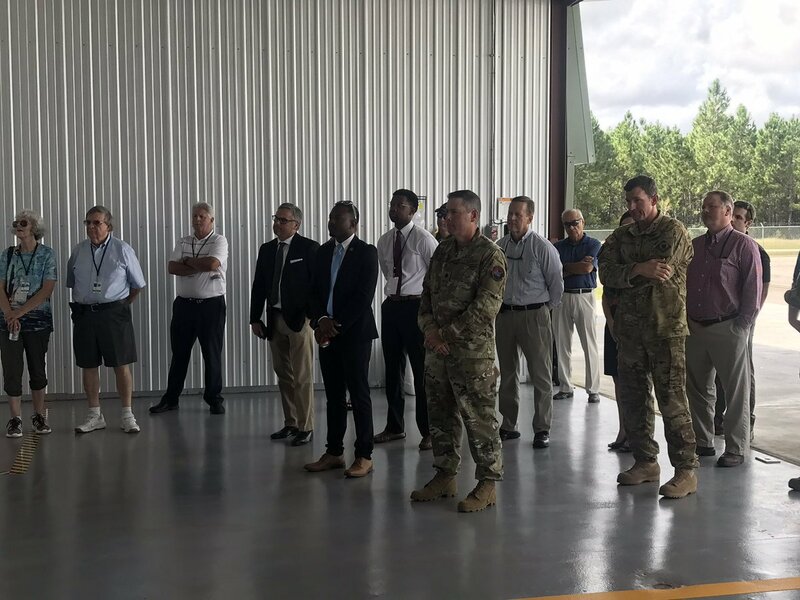 Officials say it’s part of a plan to move commercial operations away from the military zone and improve operations for private pilots. “In having this, it’s convenient. 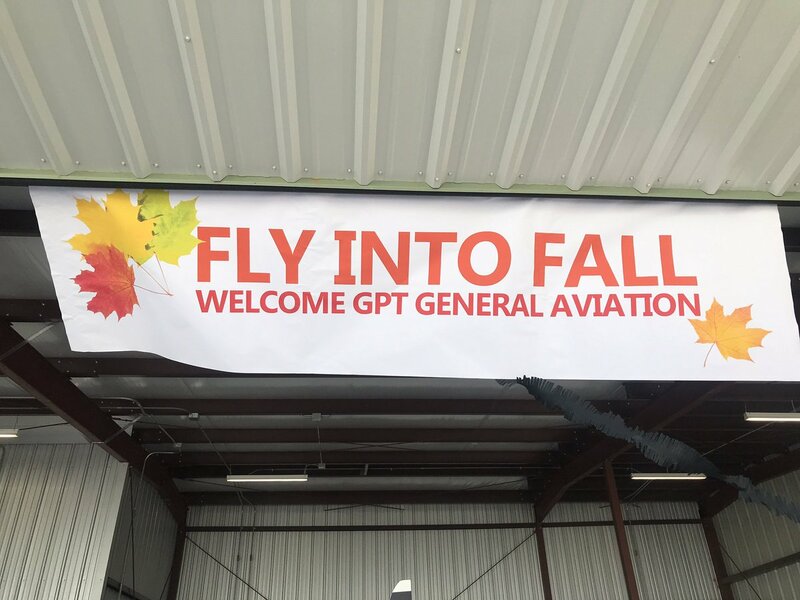 It’s easy access to our 9,000 ft. runway here at Gulfport-Biloxi, and it enhances aviation on the airfield," said Clay Williams, executive director of the airport. The first hangars were installed in 2016 and according to Williams, they were sold out in a matter of 6 months. He hopes this addition boosts interest in expanding commercial services at Gulfport-Biloxi International Airport. 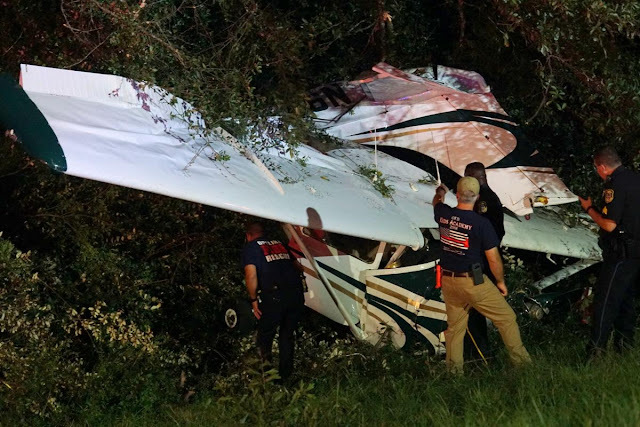 On October 16, 2018, at 2210 central daylight time, a Cessna 182P, N9398G, was substantially damaged when it collided with trees during a forced landing in Opelika, Alabama. The forced landing followed a loss of engine power about 6 minutes after departure from Auburn University Regional Airport (AUO), Auburn, Alabama. 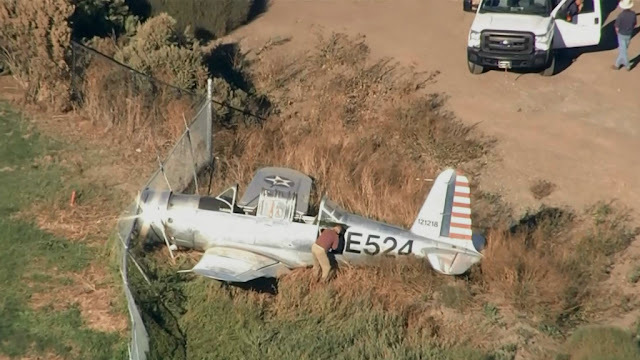 The pilot was seriously injured, and two passengers were not injured. Night visual meteorological conditions prevailed, and no flight plan was filed. for the personal flight which was conducted under the provisions of Title 14 Code of Federal Regulations Part 91. According to preliminary air traffic radar and voice communication data, the airplane was receiving flight following services, announced its intention to return to the airport, and cancelled flight following. 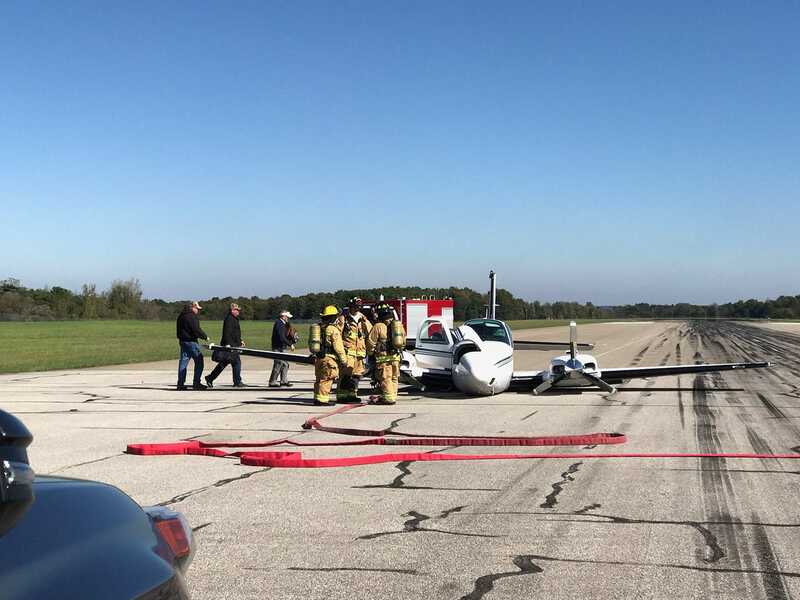 Shortly thereafter, the airplane declared an emergency, reported a total loss of engine power, and a planned off-airport landing on a roadway. The pilot provided a written statement and was interviewed by telephone. He said he completed the preflight inspection, engine run-up, and before-takeoff checks with no anomalies noted. During the climb after takeoff, he noticed a drop-in engine oil pressure so he reversed course for landing back at AUO. Almost immediately thereafter, the engine ran roughly, lost power, sparks "flew" from beneath the cowling, and the engine then stopped producing power. According to the pilot, he was maneuvering at low altitude and low airspeed when he rejected one roadway as a forced landing site, maneuvered to a four-lane divided highway, and ultimately selected the grass area adjacent to an exit ramp for the landing. After touchdown, the airplane "slid back down the grade" struck trees and came to rest upright. The occupants egressed the airplane without assistance. The pilot held a commercial pilot certificate with ratings for airplane single engine land, multiengine land, and instrument airplane. His Federal Aviation Administration (FAA) second class medical certificate was issued December 12, 2017, and he reported 13,422 total hours of flight experience at that time. At 2146, the weather recorded at AUO included scattered clouds at 700 feet and wind from 020° at 5 knots. The temperature was 22°C, and the dew point was 21°C. The altimeter setting was 30.17 inches of mercury. Examination of photographs revealed that the airplane's wings, fuselage, and empennage all sustained substantial impact damage. In addition, holes were observed in the top of both engine crankcase halves on either side of the fuel manifold. A fractured connecting rod was visible outside the engine case wedged between the Nos. 1 and 3 cylinders. A Cessna 182P Skylane crash-landed late Tuesday night on the Exit 60 ramp off Interstate 85 in Opelika. There were three occupants, including the pilot. No serious injuries occurred, according to Opelika Fire Chief Byron Prather. However, one occupant was taken to East Alabama Medical Center for minor injuries. According to the occupants, who did not wish to be identified, the plane ran out of oil, causing the engine to seize up. No incident report with their identities or information about the plane was available late Tuesday night, as officials continued to work the scene. Opelika police, fire and other first-responders were on the scene of the crash. The occupants were flying home to Athens, Ga., at the time of the crash. It appeared at the scene that the plane had made its emergency landing and then smashed into trees alongside the road. The plane received major damage. The Federal Aviation Administration and the National Traffic Safety Board were notified of the crash. Both agencies will send representatives to investigate the crash, according to a release issued by Opelika Police Capt. Shane Healey. Traffic was not disrupted by the incident and both the entrance and exit ramps for Exit 60 are open. However, first responders will continue to be present until the investigation is completed and the airplane is removed from the scene. The investigation and the airplane removal are expected Wednesday morning, officials said. 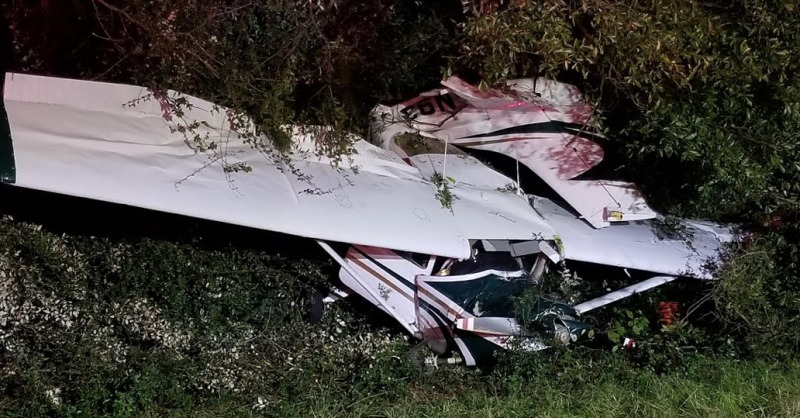 One person was injured when a single-engine plane crashed into the edge of the woods near Interstate 85 in Opelika Tuesday night, Opelika police said. Around 10:10 p.m., Opelika police responded to a report of a plane crash near the Marvyn Parkway entrance ramp to I-85. Police said a single-engine private plane crashed into the edge of the woods near the entrance ramp. Three people were in the plane at the time of the crash, police said. One of the occupants was taken to East Alabama Medical Center for treatment of minor injuries. The other two occupants were not injured, police said. The crash did not affect traffic on I-85. Police said both exit and entrance ramps are open, but urged motorists to use caution when entering I-85. The plane will be removed from the scene Wednesday morning, police said. The cause of the crash is still under investigation. The Federal Aviation Administration and the National Transportation Safety Board were notified and will be investigating the crash, police said. Lost control and ran off the runway through safety area to fence. 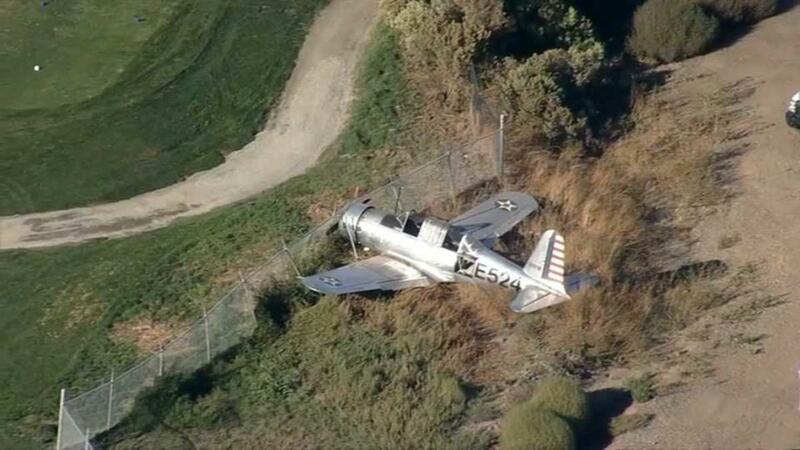 LIVERMORE (CBS SF) — A WWII-era plane ran off the runway at the Livermore Municipal Airport Tuesday afternoon, but no one was hurt, according to the FAA. 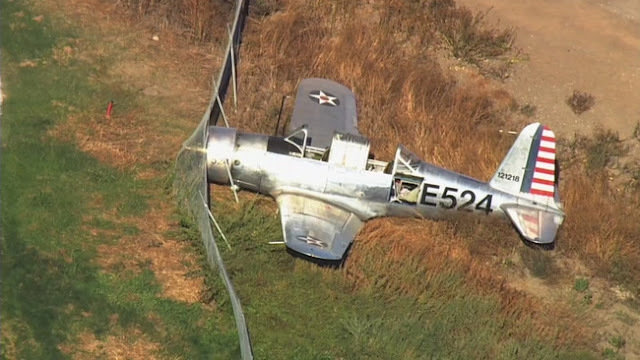 A representative with the Federal Aviation Administration said the Consolidated Vultee BT-13A ran off the runway at around 3:35 p.m., coming to a stop along a perimeter fence at the airport. The fence is at the edge of the nearby Las Positas Golf Course. 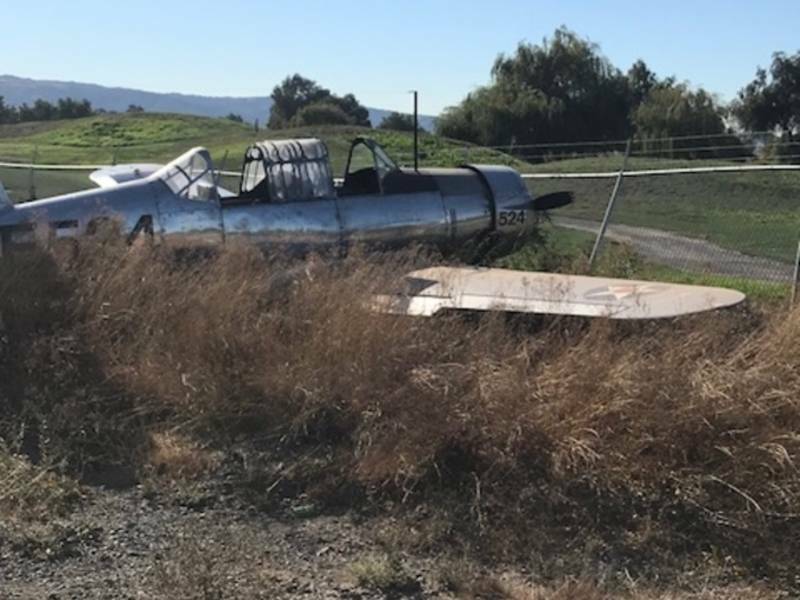 Ian Gregor with the Federal Aviation Administration said the incident happened while the pilot was practicing touch-and-go’s at Livermore Municipal Airport. Neither the pilot or passenger on board was injured. So far, there are no details regarding damage to the plane. The Consolidated Vultee BT-13A was a trainer widely used during World War II. The aircraft tail number is N59842. Gregor said the Federal Aviation Administration would investigate the incident. 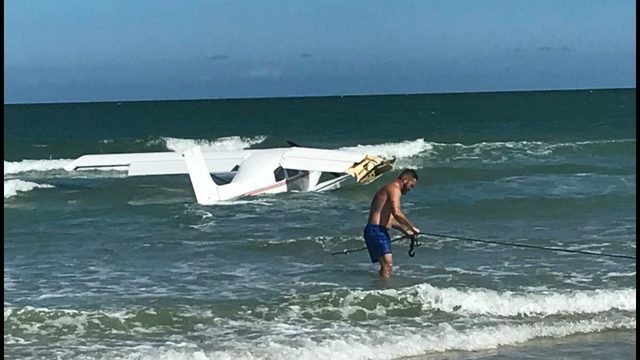 On October 16, 2018, about 1445 eastern daylight time, an experimental amateur -built Jabiru 250 , N207Y, was substantially damaged following a forced landing in the Atlantic Ocean water near Daytona Beach Shores, Florida. The private pilot sustained minor injuries. The airplane was registered to and operated by the pilot under the provisions of Title 14 Code of Federal Regulations Part 91 as a personal flight. Visual meteorological conditions prevailed, and no flight plan was filed for the flight that was destined for Spruce Creek Airport (7FL6), Daytona Beach, Florida and departed Jim Hamilton Owens Airport (CUB), Columbia, South Carolina about 1145. The pilot reported that, while approaching 7FL6 from the northeast at 1,000 ft mean sea level (msl) the engine sputtered, then stopped. The propeller continued to windmill as he attempted to troubleshoot and start the engine utilizing the fuel boost pump, but it did not restart and eventually stopped wind milling once his speed dropped. He was forced to make a landing about 100 ft off the shore about 7 miles northeast of 7FL6. The airplane landed upright, flipped to the right, and saunk. 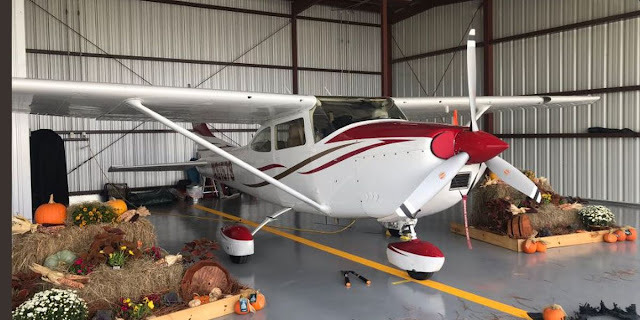 The pilot stated he departed Hickory Regional Airport (HKY) Hickory, North Carolina and landed in CUB where the airplane was ordered a fuel topped -off with 12.9 gallons of fuel, for a total of 34 gallons onboard when he departed and resumed his flight to for 7FL6. He reported that all engine indications and performance appeared normal during the flight. Several witnesses on the beach reported that they saw the airplane on approach. and reported that they did not hear the engine running operating and the propeller was not spinning when it landed in the water. Examination of the airplane by a Federal Aviation Administration (FAA) inspector revealed that itand the airplane was substantially damaged during the impact with the water. The right wing was broken in half and the airplane was almost fully submerged. About 3 1/2 gallons of aviation fuel was removed from the airplane. According to FAA airworthiness and airplane maintenance records, the airplane was a two-place, externally braced high-wing airplane, that was equipped with tricycle landing gear, and a Jabiru 3300, 120 horsepower engine driving a Sensenich two-blade propeller. At 1453, the weather conditions reported at Daytona Beach International Airport (DAB), Daytona Beach, Florida, about 5 miles west of the accident site were at 1453 included wind from 080° at 12 knots, visibility 10 statute miles, few clouds at 3,400 ft, and scattered clouds at 4,000 ft,. temperature 31° C, dew point 26° C, and an altimeter setting of 30.06 inches of mercury. VOLUSIA COUNTY, Fla. - The pilot rescued by Volusia County Beach Safety Tuesday afternoon was attempting to fly into the private Spruce Creek Airport when he crashed in the Atlantic Ocean off South Daytona Beach, marking the fourth incident this year involving small planes taking off from or landing at the private airport. Sky 6 video showed lifeguards pulling a man from the wreckage and onto the shore. Volusia County Beach Safety officials said the pilot, Richard Goosman, was alert and clinging to the wing when lifeguards approached him. "It was all hands on deck," Volusia County Beach Safety Capt. Tammy Malphurs said. The lifeguards involved in Tuesday's rescue are doing well, after a rescue unlike just about any other. "You have to adjust," Malphurs said. "You don't know what the conditions are out there; you don't know if there's fuel in the water." Officials said Goosman told them that he was traveling from North Carolina and his plane ran out of fuel before the crash. The pilot was flying to Spruce Creek Airport in Port Orange when the crash landing happened, according to Volusia Beach Safety officials. 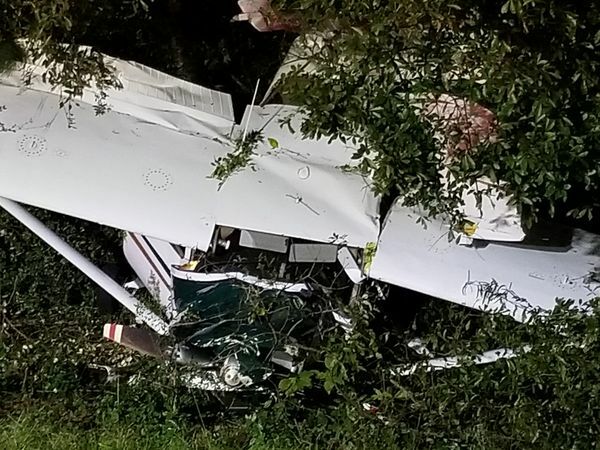 The crash becomes the ninth incident in the last three years where News 6 has reported on crashes involving small planes heading to or traveling from the private airport community. In July, bystanders pulled the pilot and passenger from a small plane that burst into flames in an area off the Spruce Creek runway. On May 22, an Embry-Riddle Aeronautical University student was killed and an instructor was seriously injured in a crash. Two days later, an airplane went down near the fly-in, injuring the pilot, who suffered a head injury. The National Transportation Safety Board and Federal Aviation Administration were notified of all crashes. 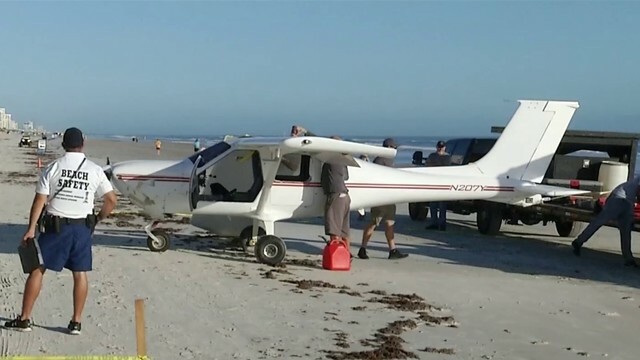 Florida Air Recovery was on the beach Wednesday examining the aircraft before taking it apart and towing it away. The plane is considered a total loss. "It's done as soon as it touches salt water," Michael O'Shea, with Florida Air Recovery, said. The plane will be taken to Jacksonville where the National Transportation Safety Board and Federal Aviation Administration will continue the investigation. "We'll hold onto it throughout the whole investigation process and any litigation process that might occur," O'Shea said. 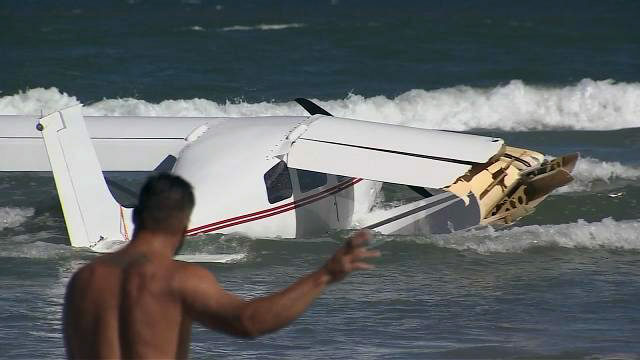 DAYTONA BEACH SHORES, Florida (WOFL FOX 35) - It was a stunning sight on Daytona Beach Shores as a plane plunged into the ocean. The plane was still there late Tuesday evening. 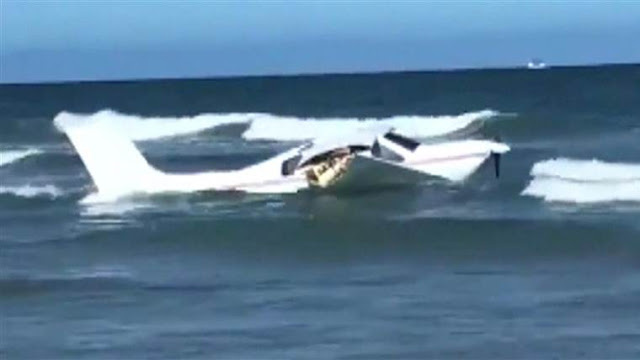 The pilot who was flying it, 75-year-old Richard Goosman, is doing alright and says he crashed in the water around 2 p.m., to avoid all the people on the beach. “Actually a neighbor of mine and I were walking on the beach and I noticed the plane coming in very gracefully. She says he has no pontoons. About that time I said, ‘Well he’s crashing!’’ said witness Marcia Harden. It was a graceful flight turned violent. 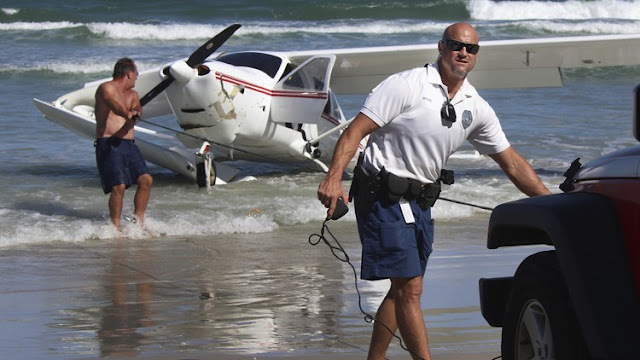 Volusia County Beach Safety rushed into the ocean in Daytona Beach Shores to save the pilot inside. “It was straight in. Everyone goes oh my gosh, there's a plane in the water,” said witness Will Grider. Goosman was flying south from North Carolina. He was the only person inside the small plane, which crashed into the ocean after officials say he ran out of fuel. “He was in shock obviously but he could talk to us,” said Volusia County Beach Safety Captain Tammy Malphurs. Goosman was alert and conscious and not seriously hurt. He was taken to Halifax Hospital for good measure. “It didn't really register until we ran down on the beach and we were like omg there's an airplane right in front of us,” said witness Dana Levey. Beach Safety officials say Goosman crashed in the water because there were so many people on the beach. They say it was a good thing he did. “It could have been disastrous,” said Capt. Malphurs. The single-engine Jabiru 250 was brought to shore with a broken right wing. Federal Aviation Administration records show the plane is registered as an "amateur built" kit model out of Blowing Rock, North Carolina. The plane was built in 2005 and last certified to fly starting in 2014. The National Transportation Safety Board is sending an aircraft recovery service Wednesday to pick up the plane. Then the Federal Aviation Administration will investigate. A single-engine experimental plane with one occupant crashed into the ocean Tuesday off Daytona Beach Shores, officials said. The pilot, Richard Goosman, 75, was transported to Halifax Health Medical Center by ambulance, said Capt. Tamra Malphurs of Volusia County Beach Safety Ocean Rescue. The incident occurred at 3333 S. Atlantic Ave., about two blocks north of the Dunlawton Boulevard approach, around 2:40 p.m. The Jabiru 250, with a broken right wing, was brought to shore. The Federal Aviation Administration registry lists the owner as Richard Gooseman. The plane is registered as an “amateur built” kit model out of Blowing Rock, North Carolina. The plane was built in 2005 and certified to fly since 2014. The plane went down into the water about 60 to 100 feet off shore. Beach Safety personnel immediately started a water rescue, getting Goosman ashore, Malphurs said. The National Transportation Safety Board requested an aircraft recovery, which will happen tomorrow upon which the aircraft will be inspected by the Federal Aviation Administration, Malphurs said. Goosman was flying from North Carolina to the Spruce Creek Fly-in. He ran out of fuel and fell into the sea, Malphurs said. “He was conscious and alert. He had no signs of any major injuries at the time and he was transported by ambulance,” Malphurs said. One of the beach visitors, who jumped into the ocean to help the pilot, also was rescued because of exhaustion but declined to be transported to the hospital, officials said. The splash in the ocean caught Ken Meldonian of Boca Raton, who was relaxing on the beach by surprise. The north current washed the plane close to where he was camped on the beach. MANSFIELD (UPDATED AT 4:03 p.m.) -- Mansfield Police received a phone call at 12:01 p.m. Tuesday about an airplane circling Lahm Airport that was having a problem with its landing gear, Chief Ken Coontz said. The plane had to use an emergency belly landing in a field at Lahm Airport. "Everyone is safe and nobody is injured," Coontz said. According to the Ohio State Highway Patrol, the crash occurred when a Beechcraft 58 Baron landing gear failed to open. The pilot was able to successfully land the plane without incident despite the defective landing gear. The plane was piloted by Robert Zook, 68, of Mansfield. Zook did not suffer any injuries. Passengers Angela Phillips, of Middletown, Chad Deskins, of Middletown, Sydney Deskins, of Middletown, and Ralph Deskins, of Middletown, also did not report any injuries. A photo and Facebook post published around 3:30 p.m. from Angela Phillips said the landing was "scary," but passengers were thankful for the response from the grounds crew. The pilot of the tailwheel-equipped airplane reported that, during the preflight for a demonstration flight with a second pilot, they discussed the nose-over tendencies of the airplane and the necessity to "stay off the brakes." He added that, during the fourth touch and go landing, the second pilot was flying and performed a wheel landing. 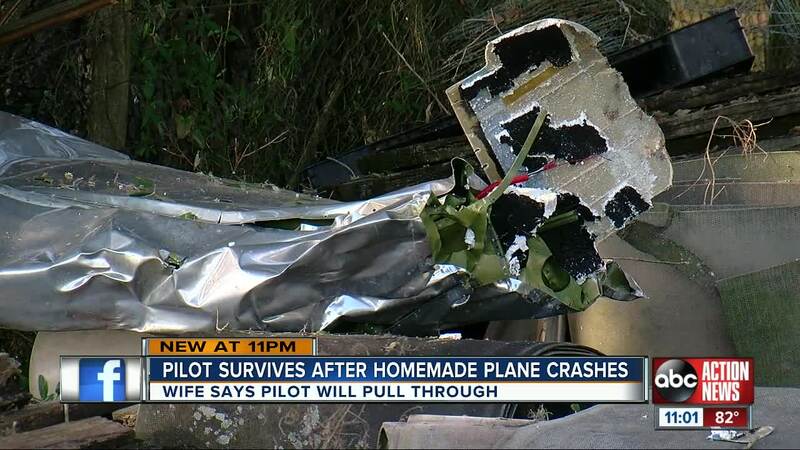 During the landing roll, the airplane drifted to the right and the pilot "came on the rudders to help." Suddenly, the airplane nosed over. The pilot reported that he believed he was responsible for the accident and that one of them must have inadvertently applied the brakes. 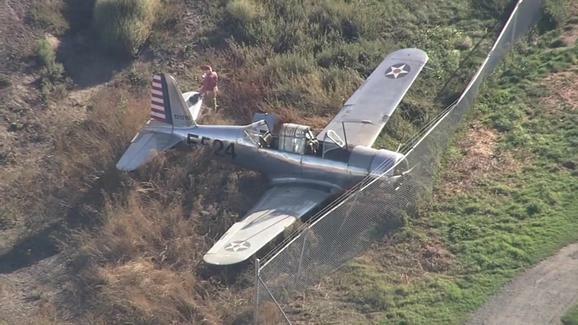 He also believed he misjudged the second pilot's tailwheel experience. The second pilot reported that, at the time of the accident, he had a tailwheel endorsement and met the recency of experience requirements. He added that, during the landing roll, the airplane was tracking the centerline when "suddenly and unexpectedly", it nosed over. The airplane sustained substantial damage to the right wing lift strut and empennage. Registered Owner: Long, William D.
On October 15, 2018, about 1416 eastern daylight time, a privately owned and operated experimental, amateur-built Hummel-Ultra Cruiser Plus, N245AP, collided with trees near Zephyrhills, Florida. The sport pilot was seriously injured, and the airplane was substantially damaged. The airplane was being operated under the provisions of Title 14 Code of Federal Regulations Part 91 as a personal flight. 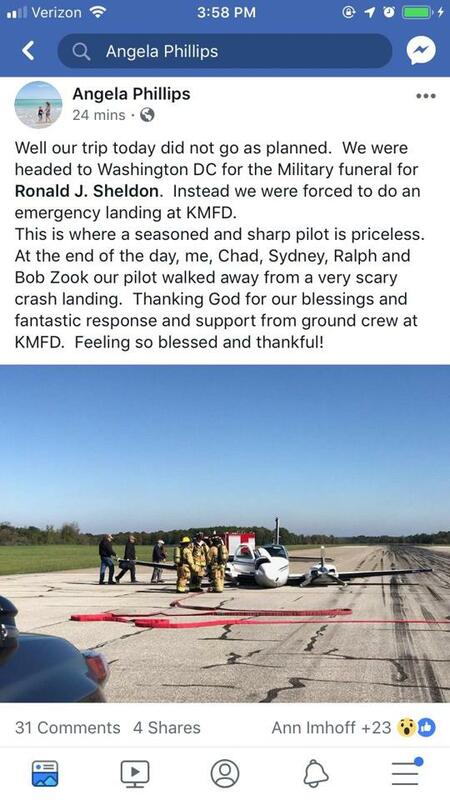 Visual meteorological conditions prevailed at the time and no flight plan was filed for the local flight that originated about 16 minutes earlier from the Zephyrhills Municipal Airport (ZPH), Zephyrhills, Florida, about 1400. The pilot stated that the flight departed to the north with about 8 gallons of fuel, and climbed to 1,000 feet mean sea level (msl), and then turned onto the crosswind leg of the airport traffic pattern. He climbed to 2,000 feet msl, and while flying at that altitude with the engine rpm at 3,400, the mixture control full rich, and the auxiliary fuel pump on, the engine sputtered then experienced a total loss of powerquit . Attempts to restore power were unsuccessful. He located and maneuvered for a forced landing to a field, but allowed the airplane to slow too much, which resulted in an inadvertent stall. 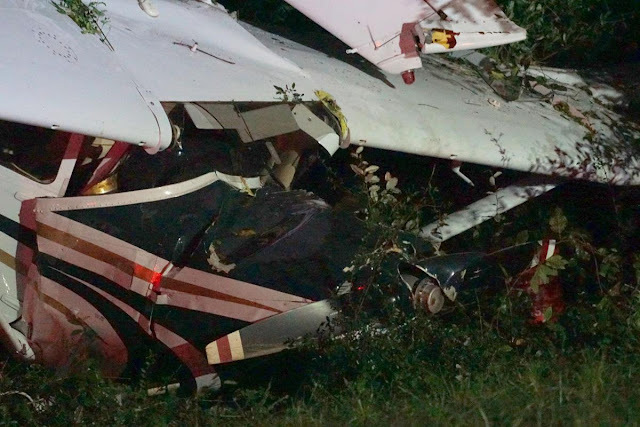 The airplane impacted a tree then the ground before coming to rest upright in a nose-low attitude. Postaccident Initial examination of the airplane at the accident site revealed each fuel shutoff valve was in the "on" position. Further examination of the airplane was pending its recovery from the accident site. The pilot/airplane owner plans to recover the airplane for further examination of the airframe and engine. 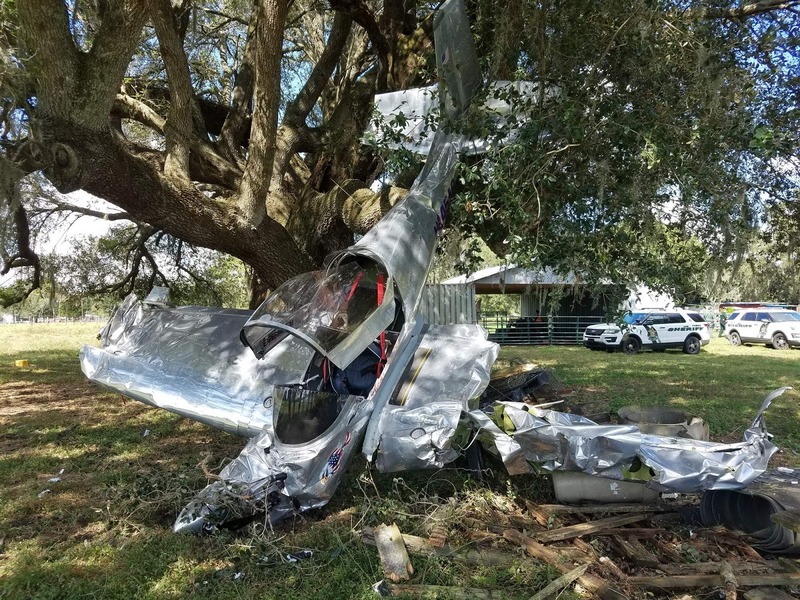 ZEPHYRHILLS, Fla. — A single-engine experimental aircraft crashed into a tree Monday afternoon in Zephyrhills. According to Pasco Fire Rescue, the pilot was transported to the hospital with moderate injuries. He reported a loss of power when he was attempting to land. ABC Action News spoke with the pilot's wife, Harley Hargrove, who has identified him as 73-year-old James Hargrove. "Very thankful he's still living," said Harley Hargrove. "He said 'I just broke the ankle so I'm going to go to the hospital and get an x-ray.'" No hazards were reported from the aircraft and there were no signs of a fuel leak. It happened near the 36700 block of Paddock Lane. Hargrove targeted an open pasture to make his emergency landing but crashed into a tree and fence. "He's very lucky he didn't have the engine in his face," said Ferman Geiger. "To come away with no more than what he had, it's a miracle." Bob Porter, a former pilot, lives nearby and immediately raced to help Hargrove out of the small-engine aircraft. "Was he alive or dead? That's the first thing that comes to your mind when I saw he landed straight in, the airplane stalled, it went right into the tree, nose down," said Porter. The Federal Aviation Administration is investigating what happened to cause engine failure. Harley Hargrove tells ABC Action News, it's time for her husband to take a break from flying. A Tampa pilot is recovering after the plane he built by hand crashed into a Zephyrhills cow pasture. The plane went down around 2:30 Monday afternoon less than five miles from Zephyrhills Municipal Airport, where it took off from. The Hummel Ultra Cruiser single engine plane's tail number is registered to James Hargrove, of Tampa. Pasco Fire Rescue says no one else was on board. Bob Porter is a pilot and owns the property where the experimental aircraft crashed. It's far from the first crash he's seen after years in aviation but this was the first to, quite literally, hit this close to home. He and his grandson immediately rushed down to the crash site to find the pilot bloody but alive. The aircraft was on its nose, partially in a tree, with one of the wings completely crumpled. "It sounded like two automobiles running into one another at 50 miles per hour," Porter described the crash. "He was bruised all over but he was still coherent and able to talk to us." Porter says he then called 911 for help. Friends of James Hargrove say the plane reportedly lost engine power and that the pilot suffered a broken ankle in the wreck. "I'm just glad he's not hurt any worse than he is," Porter said, noting he has seen less-damaging plane crashes that still proved to be fatal. A spokesperson with Pasco Fire Rescue says the NTSB has been notified. No word yet on what caused the plane's engine to cut off. ORIGINAL STORY: One person was injured when a homemade aircraft crashed in Zephyrhills on Monday afternoon, according to crews that responded to the scene. A spokesman for Pasco Fire Rescue says the crash happened on Paddock Lane near Simmons Road on Monday around 2:30 p.m.
Deputies say the pilot reported that he lost power while attempting the land the aircraft and ended up crashing it into a tree. The pilot was taken to the hospital with minor injuries. Fire crews say there are no hazards reported from the aircraft. 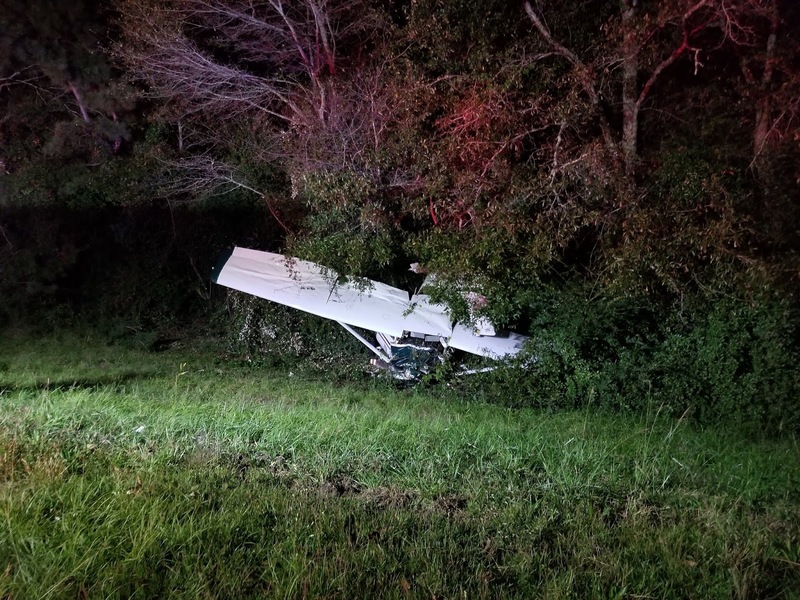 ZEPHYRHILLS — A pilot suffered minor injuries when their plane made a force landing in a field on Monday afternoon, according to the Pasco County Sheriff’s Office. The incident was reported at about 3:19 p.m. The pilot of a single-engine experimental plane lost power and attempted to land, deputies said. The pilot tried to land in a field, but in doing so struck a fence and a tree. 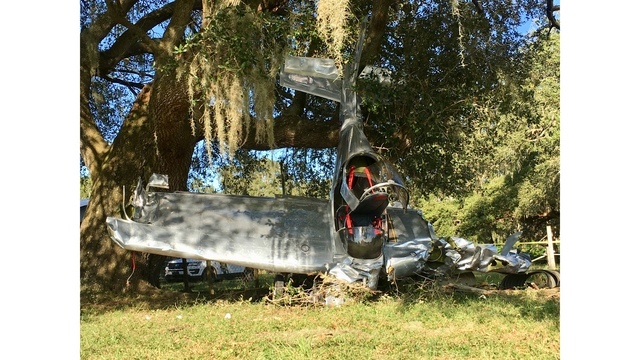 A photo released by the Sheriff’s Office showed the crushed fuselage of the plane against a large tree, what’s left of the nose pointing down, the destroyed tail sticking up in the air and the left win nearly ripped off. The pilot sustained "moderate injuries" and was taken to local hospital, the agency said. No other details were released about the incident, including the identity of the pilot or went wrong with the aircraft.